This can be a concrete visual poem or word art. The letter t is the shape of the cross. 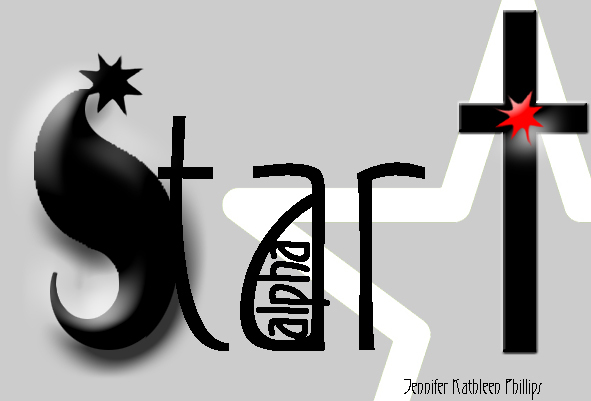 It changes the star to start which is alpha. Tar is a word for thank you. Christmas is a time of thankfulness for the child. Tar is also a black sticky coating for the highways we travel on. It makes the road easier to travel on. The letter a has the shape of a pregnant woman containing the Alpha. Now we see only a part of the great Star of stars (Represented by the white star in the background).